The MONTEST-HD4K Ultra HD Video Test Pattern Generator generates video test patterns for evaluating and testing HDMI displays and components up to 4Kx2K at 60Hz (4:4:4). HDMI timing, data packet, EDID and HDCP analysis are supported, along with EDID upload and emulation. It also supports audio test signals including a built-in sine wave tone generator. The 4K UHD Test Pattern Generator can be conveniently controlled via the front panel buttons, IR remote control, Ethernet or RS232. These controls allow selection of timings, patterns, color spaces, HDMI/VGA output, and audio signal type. Generates over 100 test patterns and features 88 built-in resolutions. Upload two user-generated graphic files to use as additional test patterns. 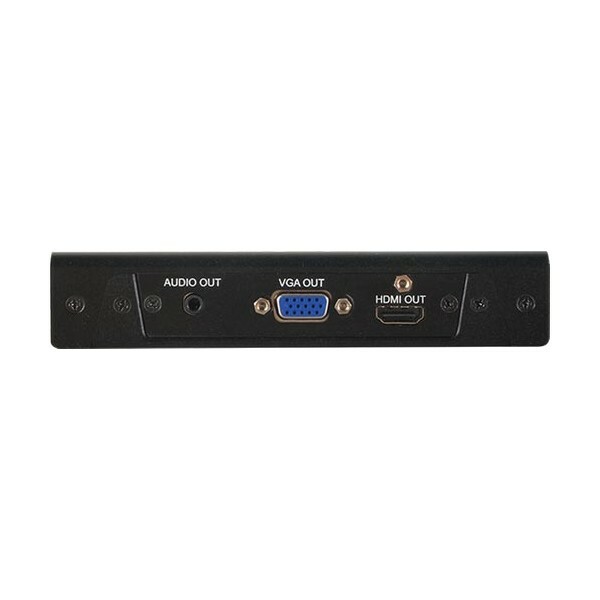 Generates HDMI and VGA output signals. 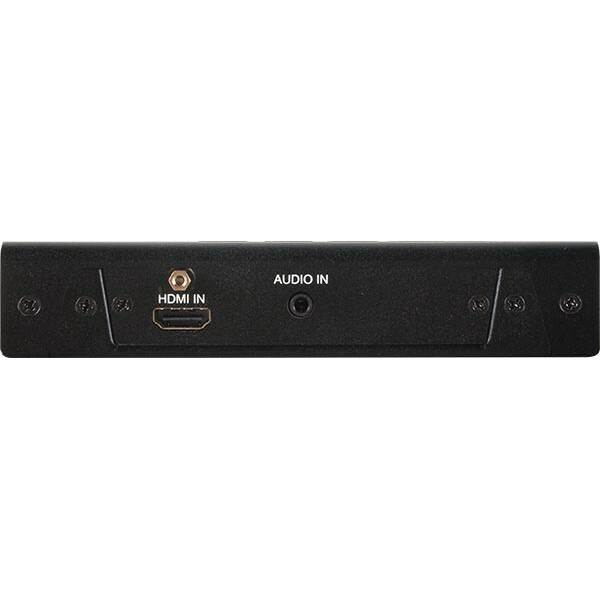 Supports HDMI resolutions up to 4096_2160 at 60Hz (4:4:4). Supports VGA resolutions up to 1920_1200 and 2048_1080. HDCP v1.4 and v2.2 analysis and control. Analyze and emulate EDID data, including the Status and Control Data Channel (SCDC). Built-in sine wave tone generator for audio signal testing. Accepts external analog audio test signals. Up to 8 channels of LPCM audio test tones can be generated with a wide range of frequencies. Control the test pattern generator through Ethernet, RS232 serial port, IR remote, front panel buttons, or On Screen Display (OSD). OLED display provides a way to quickly view the current signal status information. Displays video source information, including: resolution, refresh rate, scanning methods (interlaced or progressive), video type (2D or 3D, HDMI or DVI), HDCP version, general control packet status, color space information (RGB, YCbCr 4:4:4, 4:2:2, or 4:2:0), color depth (8bit, 10bit or 12bit), and audio information. Audio timing: ACR status, PLL status, Packet layout, input/output audio channels etc. Resolutions Supported HDMI: 350p, 480p, 576p, 720p, 1080i, 1080p, 640_480, 800_600, 1024_768, 1280_1024, 1366_768, 1400_1050, 1440_900, 1600_900 (RB), 1600_1200, 1680_1050, 1920_1200 (RB), 4096_2160 (30Hz and 60Hz). Question: Can the HDMI output and the VGA output be simultaneous? Can the HDCP be enable and disabled? Answer: Thank you for your inquiry. Based on the documentation for the MONTEST-HD4K, you are able to turn HDCP on and off at will with a 'HDCP' button on the front panel. As far as simultaneous viewing of VGA and HDMI Outputs, it appears as though you can only either switch between the two sources or turn off the video output completely. Here is a link to the Operation Manual for further reading. If you have an further questions or would like a recommendation based on your needs, please contact your KVM Switches Online Representative at 1-877-586-6654. Question: Does this support display and response for the I2C channel of an HDMI interface? The MONTEST-HD4K does indeed support the I2C channel. The MONTEST-HD4K has 10 built-in EDIDs and 10 custom EDID slots, where DDC data from current sink can be stored and used later. It has also has support for programming a custom EDID through RS232 connection.